BADGEr – EReader badge and shield « Adafruit Industries – Makers, hackers, artists, designers and engineers! BADGEr – EReader badge and shield. 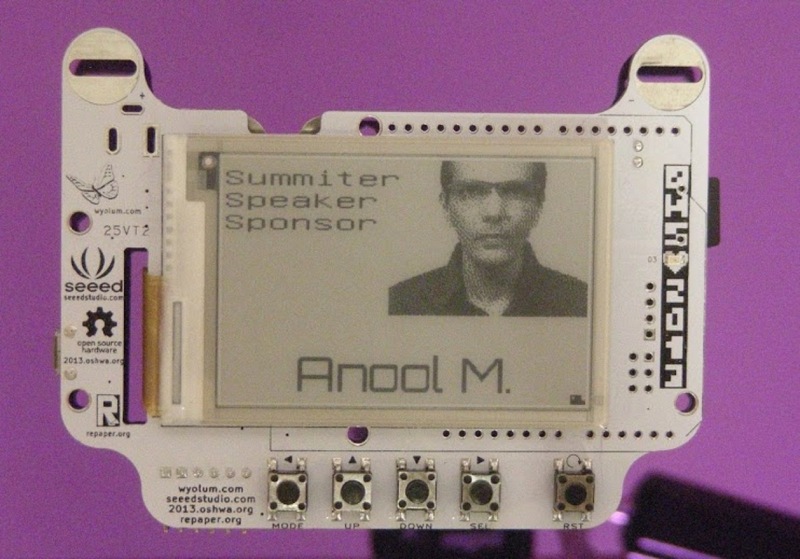 WyoLum is so proud to team up with Seeed Studio and Repaper to present the Open Hardware Summit badges (codename: BADGEr) for 2013! We’ve had our heads buried working through a myriad of issues and recovering from a few big setbacks, but the work has paid off. The prototypes are back and they are amazing. We friggin’ did it! Thanks to the grit and endless hours contributed by Anool and Kevin of WyoLum; Nana and Albert of Seeed Studio; plus Sean and Charming of repaper.org for helping out with software issues.